ability and durability. However, compared with carbide burs, diamond burs usually have a more pronounced decrease in cutting effectiveness over time leading to a shorter lifespan. 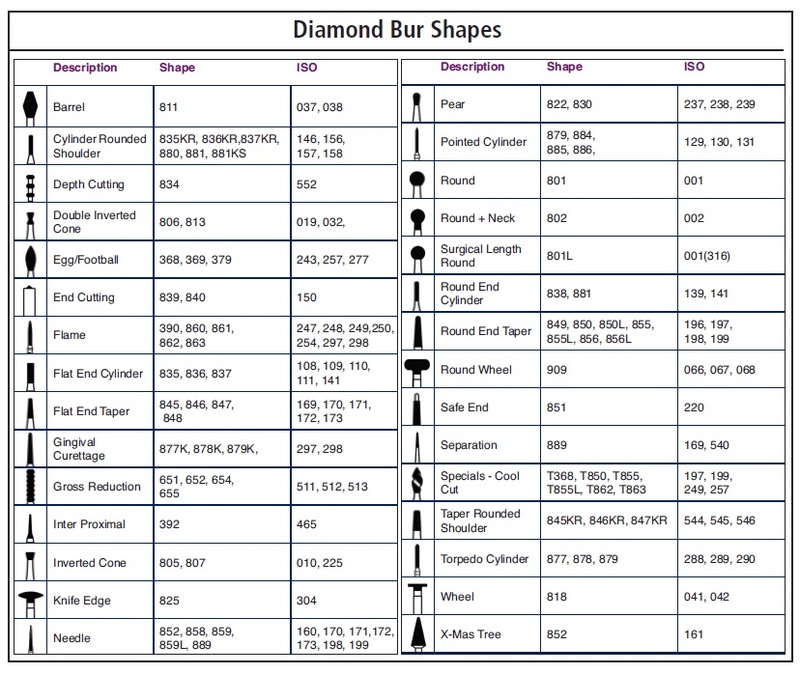 Unlike carbide burs, which are available in a variety of shank types, diamond burs are most commonly friction grip type because they are used primarily in high speed handpieces. However, similar to carbide burs, they come in a variety of head shapes and sizes. Diamond burs also come in a variety of grit sizes. Coarse and super-coarse diamond grits for tooth reduction are the most popular, with fine and super-fine for polishing and smoothing a distant second. Grinding and polishing diamonds should be used to trim and finish micro-filled composites. 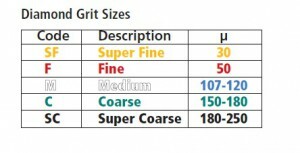 Coarse grinding tools leave behind striations; fine and extra fine diamonds are suitable for finishing. and hence are more economical. There are many more shapes and grits available in multi-use diamonds.